We saw quite an interesting toxicology case in the emergency department the other day, which highlights some of the major issues in an increasingly common toxic presentation to departments: valproic acid toxicity. The first question I asked myself is what is the toxic threshold for valproic acid ingestions? Based on my estimated 80kg body weight, this man had potentially taken substantially more than 1g/kg body weight. I wasn’t sure if I believed him – he looked too well – but from my fellowship study I remembered that a valproic acid ingestion of >200mg/kg was likely to result in significant toxicity. Peak absorption of the tablets occurs at about 4-6 hours, with about 90% bioavailability, so things were likely to get worse before they got better, assuming I believed the patient’s story about his ingestion. The major clinical features of valproic acid toxicity are CNS depression or seizures, and cardiovascular instability after high level ingestions. Although I could see a pretty reasonable argument for securing an airway immediately, I just couldn’t bring myself to do it, because the patient’s appearance was so discrepant with his history. Thinking to myself that time would tell, I arranged for the patient to be watched like a hawk by one of my senior nurses, on telemetry and pulse oximetry. I also sent a valproic acid level to the lab (“what the hell?” I hear you ask) as well as a paracetamol level. Remember, paracetamol toxicity is fatal, and should never be missed. After the usual rushing round the department putting out fires, I wandered back to see the patient. The news wasn’t good. His GCS was down to 9, and his blood pressure had trended down to just 99mmHg. As I was arranging to move him to resus in preparation for delayed sequence intubation I asked the resident to run a blood gas, results shown here. The good news is that we can forget about paracetamol poisoning, and all that horrible N-Acetyl Cysteine stuff. The bad news is that our patient is severely toxic from his valproate overdose. At low levels valproic acid levels do not correlate with CNS toxicity1. But, patients with levels >450mg/L usually develop severe CNS depression2, requiring high level supportive care. The toxicology handbook3 suggests that the indications for haemodialysis are the ingestion of >1g/kg with a level >1000mg/L at any time, or the onset of haemodynamic instability. Unfortunately our patient had been telling the truth about the magnitude of his ingestion, and I now knew to expect an increasingly obtunded, hypotensive patient on an imminent basis. 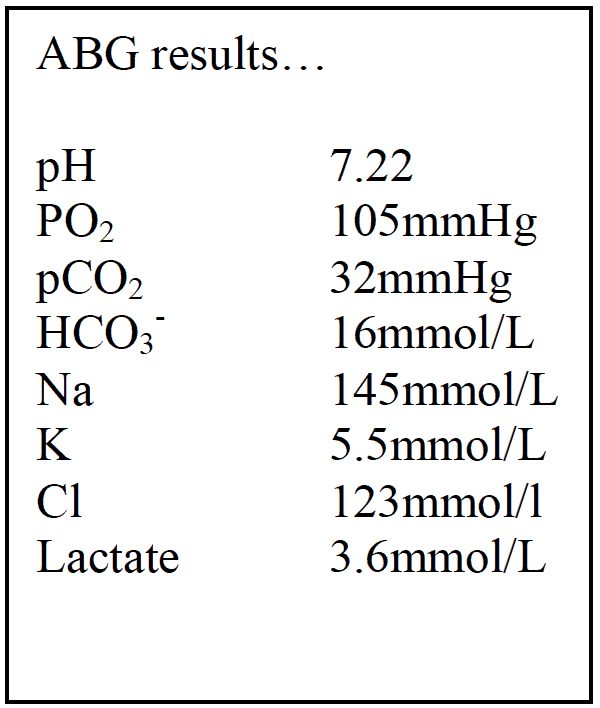 The ABG results are interesting. It’s a complex calculation, but if you work out the delta ratio you’ll reveal a mixed high and normal anion gap metabolic acidosis. It’s pretty easy to work out what’s causing the high anion gap (probably the lactate, from hypoperfusion), but the normal anion gap element is a bit mysterious. If you’re looking for something a bit more meaty on ABG interpretation, check out lulu.com. 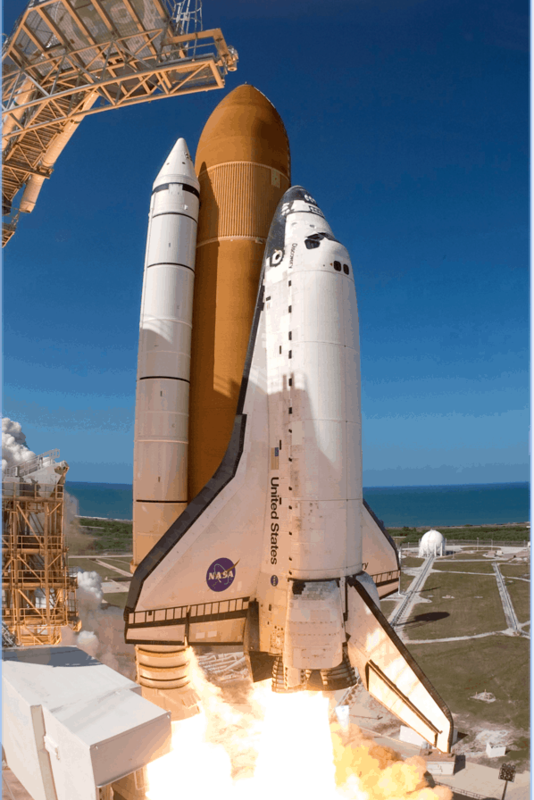 Once we’d intubated the patient and volume resuscitated him, I started having a think about where we were going. At that point, one of my obscenely clever registrars who is studying for his fellowship pointed out that we should check a serum ammonium level. However, my registrar was right. The patient’s ammonium level was 380µmol/L. Ammonium toxicity is a major complication of valproic acid overdose. Like most good questions, this is quite a hard one to answer, and it involves some complex biochemistry. If biochemistry is not your thing, and you’re not so interested in the explanation, feel free to skip ahead a couple of paragraphs to the bottom line. For those brave enough to read on, I went back to my undergraduate days of biochemistry, and pulled a couple of papers out2,4. Reference 4 is a detailed and interesting summary of the biochemistry concerned. To understand the accumulation of ammonium and valproate, you need to understand the story of Acetyl Co-Enzyme A and an enzyme called CPS-1. You might have just had a shudder, and a flashback to first year biochemistry, but you’ll recall that ACoA is a really common and important co-factor in a whole heap of biochemical processes concerning energy generation, most notably the Krebs cycle. To get inside the mitochondria, ACoA is carried across the membrane by something called the carnitine shuttle. Carnitine is an amino acid derivative, found in red meat, and most people on average eat about 200mg/kg a day. 1) It makes friends with the mitochondrial store of acetylcarnitine, and then an enzyme called CPT-2 liberates free carnitine from the interaction. 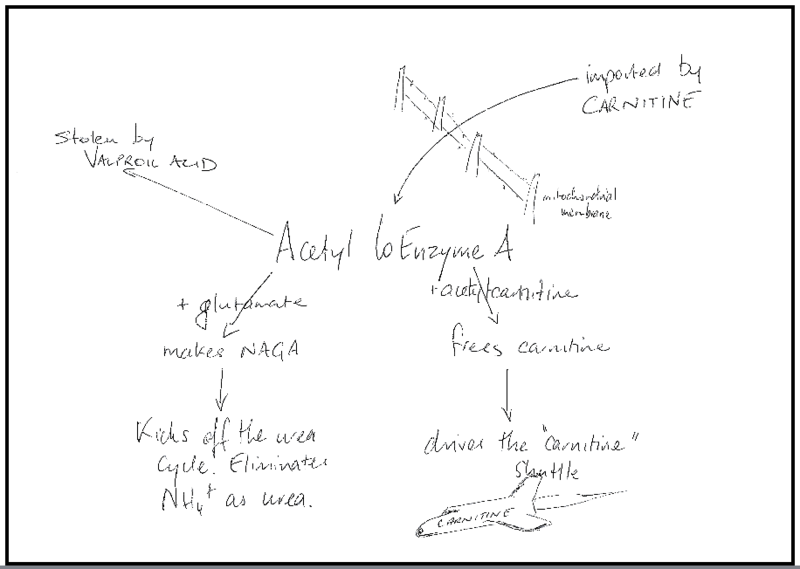 This is really important to recycle the carnitine to continue importing ACoA into the mitochondria. 2) It interacts with an amino acid called glutamate, to make a compound called NAGA (N-Acetyl glutamic acid). NAGA turns on an enzyme called CPS 1 (carbamoyl phosphate synthetase 1). If that sounds vaguely familiar, it’s because CPS 1 is the “green light” enzyme for the urea cycle. I can almost hear the groans from cyberspace, but don’t worry! We’re not going to plumb the depths of the cycle. All you need to remember is that the urea cycle turns ammonium (toxic, inorganic nitrogen) into urea (organic nitrogen, which the body can excrete). Therefore we could conclude that if CPS 1 fails, the urea cycle can’t occur, and ammonia (bad nitrogen) will accumulate in the body. It turns out that valproic acid hates CPS-1…..
Cytosolic ω-oxidation of valproic acid forms a variety of toxic metabolites, which float around the cell, and directly inhibit CPS 1.
b) Carnitine remains “locked up” as acetylcarnitine, and the carnitine shuttle stops flying. This is a double whammy, because there’s no more ACoA coming into the cell to fix the problem. Valproic acid and its metabolites have a variety of effects on the kidney, but the net effect is to prevent renal recycling of carnitine, and decrease whole body stores. What Can I do About Ammonium? For the brave emergency physician trying desperately to restore CPS-1 function, there is a solution: carnitine. ACoA is plentiful in the body, and (according to LeChatelier’s Principle) will shift towards areas of depletion. The trick is getting it there, and the key to this is restoring the carnitine shuttle. The use of L-carnitine is controversial, but there is some evidence that it may serve as an antidote to valproic acid induced hyperammonaemia, particularly if dialysis is not readily available. Of course, for such an avante-garde therapy, it would pay to seek super sub specialist advice from a toxicologist at poisons information. The literature suggests an intravenous carnitine loading dose of 50-100mg/kg, followed by maintenance doses of 50mg/kg q8h. The major described side effects of carnitine are CNS (seizures and coma) and haemodynamic compromise. Interestingly, these are also the features of severe valproic acid poisoning, described above. Of course, haemodialysis also remains a completely reasonable (and more main stream) option, and the overall treatment should be decided in conjunction with our colleagues from the intensive care unit.